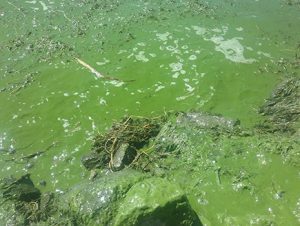 The Southwestern Utah Health Department has issued a Danger Advisory/Closure for Panguitch Lake based on extremely high toxin levels in the lake from an ongoing cyanobacteria bloom. The Utah Department of Agriculture and Food (UDAF) contacted livestock operators in the area to recommend they prevent their cattle from drinking water from the reservoir and downstream sources. Public participation matters! 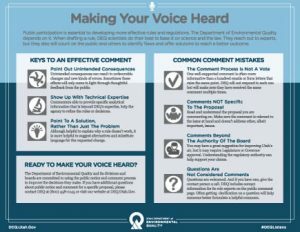 The Utah Department of Environmental Quality is committed to using the public notice and comment process to improve its decisionmaking. Here are some tips for making effective comments on agency permits, rules, and decisions. 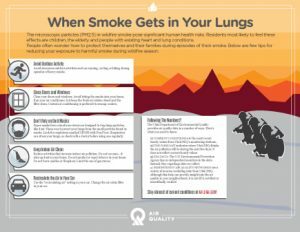 Wondering what steps they can take to protect their health from wildfire smoke? Attached is a helpful graphic with a few tips on ways to ensure you and your loved ones can breathe easily. Come join the fun at the fifth-annual Get Into The River Festival at the Jordan River Parkway. 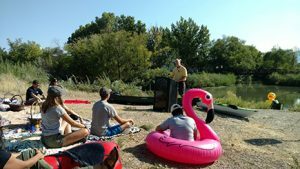 From nature walks to cleanup efforts to canoeing to a neighborhood barbeque, there’s something for everybody at this monthlong celebration of the Jordan River. 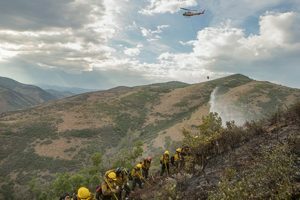 How did Utah’s air this summer compare with other years? Not the worst, but not the best. Wildfires and ozone meant more air pollution than previous years. Although many of us make environmentally friendly choices at home, we don’t always stop to consider the many ways we could go green in our workplace. 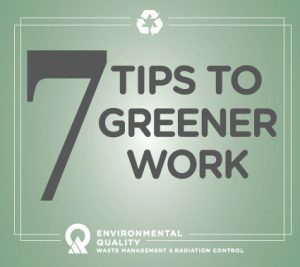 DEQ offers you some simple tips to help make your workplace a little “greener.” Going green at work is easier than you think!